Furniture ships by carrier or freight whichever is the most economical. Vintage Mid-Century Danish Modern Slat Bench Coffee Table Nelson Eames Knoll era! 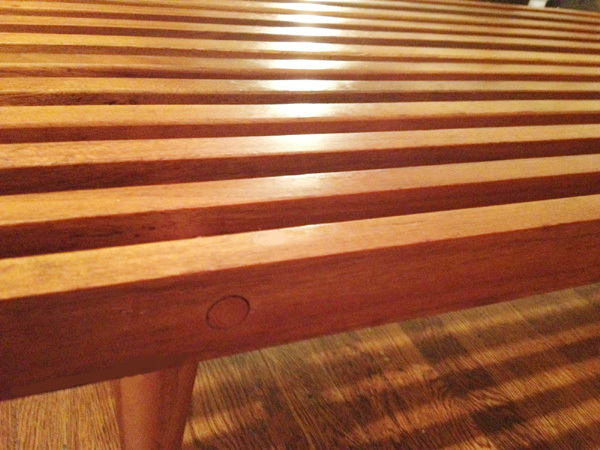 This is a beautiful vintage mid-century Danish Modern Slat Bench/Coffee Table. It come from an estate and is in very nice vintage condition. There is a mark for maker on the bottom, but it is not legible. The finish is still vibrant. . It looks outstanding whether you use it as a bench or as a coffee table. There is some lite surface scuffs, scratches, dings, which is to be considered age appropriate. No major damage. Solid quality construction. Sturdy, doesn't tip or raise up when used as a bench. It measures 5' foot (60") long and 17-1/2" deep. It stands 12-3/4" in height. Twelve 3/4" x 1 3/4" slats are held together with wooden rods. The legs do not nor appear to have ever had caps. This is an amazing vintage lounge chair. Designed by Milo Baughman for Thayer Coggin. Circa. 1970, made in the USA. It measures 30" tall, 25" across, 28" deep. It is all original and has not been re-upholstered, and is in gently used condition. Mirrored chrome finish still has a nice shine. Wear is consistent with age and use on a chair from this period. Close inspection does show some wear and some pitting to the chromed frame, contained mostly to the underside. Chair is complete with all the buttons and foot glides. Upholstery is still in good condition overall with no tears or thinning, some signs of use. 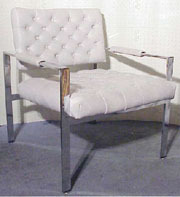 Its missing the upholstery label but but is a guaranteed authentic Milo Baughman design produced by Thayer Coggin. 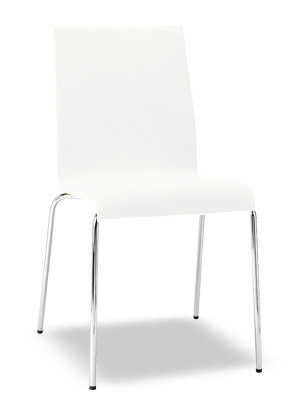 A nice original vintag contemporary designer chair for your modern decor. I have one more available if your needing more then one email please let me know. Price is for the one. Ships with UPS! CHARLES EAMES HERMAN MILLER Lounge Chair Aluminum Black Leather Vintage 1958 MCM. This is an original mid-century multi-purpose lounge chair from an estate. It is from the Original "Aluminum Group" and was designed by Charles & Ray Eames. Its design came about when Eero Saarinen and Alexander Girard ask the Eames's to come up with a special chair for a private residence that they were designing. The chair was introduced to the public in 1958, and sold under the Herman Miller brand. The chair is marked 'Herman Miller, Patent Pending' in the frame. It features a sculpted aluminum frame with line grooved, black leather seating. Chair swivels. It is the illusive armless model, and has the contact footed base. Quite sophisticated with innovative comfort, in a timeless design. The chair is strong, sturdy, yet lightweight. Its graceful silhouette works well in the living area, home office or den. It is also recognized as one of the greatest chair designs of the 20th century. This chair is one of the earliest produced and is very difficult to find!. It measures 35" tall overall, 22-1/2" wide, 26-1/2" depth. 15" from the floor to the center of the seat. Although the chair could be used as is, it really does need some restoration work to bring out its original impressive design. There is some signs of age, use, wear. The leather definitely needs a professional cleaning. The most notable wear is the worn leather on the top back corner. The other top, back corner also has a small scuffed area. The one side of the leather back has come loose from the side track, but the stitching is still intact. The brushed aluminum frame has some discoloring and show surface rubs scratches. The feet pads are complete, intact, but discolored. There is a small spot in the seat area that looks like a drop of clear ? was dropped on it. Please click on the small image on the left for more pictures. 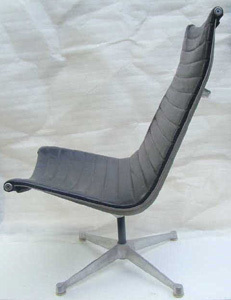 Its such a hard to find example of Charles Eames design, it would be well worth the effort and cost of restoration. PLEASE NOTE: Due to its size, shipping is by Greyhound only. You must have a Greyhound depot close by and be willing to drive to the depot and pick it up. Lower 48, continental US shipping only. Vintage Danish Modern designer childs table and chairs. Designed by Rud Thygesen, Johnny Sørensen for Magnus Olesoen in Denmark. Unique lite, tight, functional, stackable design. Sturdy innovative patented construction that has neither screws or dowels. Rud and Johnny began working with Magnus Oleson back in 1971, their designs were strongly influenced by the craftsmanship and tradition of designers such as Hans Wegner, Finn Juhl, Borge Morgensen. Clear lacquered beech bentwood frames with laminate seats and table top. Original labels. Set shows signs of age and use and in need of some restoration. The clear lacquer over the wood has worn thin, some dings, rubs. Laminate tops have marks and rubs. Hard to find this vintage designer set here in the US! Great addition to a family oriented mid-century modern decor. Pedrali KUADRA Designer Chair Italy Eames Panton Era! Tough to get a hold of one of these comfortable, ergonomic, designer chairs! Designed by R&D for Pedrali. Produced in Italy, back in the mid 80's, its called the Kuadra XL. Outstanding bright White color, strong, resilient, solid technopolymer shell with shiny chromed steel tube frame legs. This chair originally sold for over $200.00 and was not offered for sale here in the USA. It is 31.5" tall, 20" across, 21" deep. Chair is in nice condition with no major damage. It is complete. Lite signs of use. Looks great! Marked on the bottom of the chair, Pedrali KUADRA XL 2403. Legs removed for shipping so it will need some (easy) assembly upon arrival.